With my daughter now taking her lunch to school every day, I often leave a little note in her lunch to brighten her day. 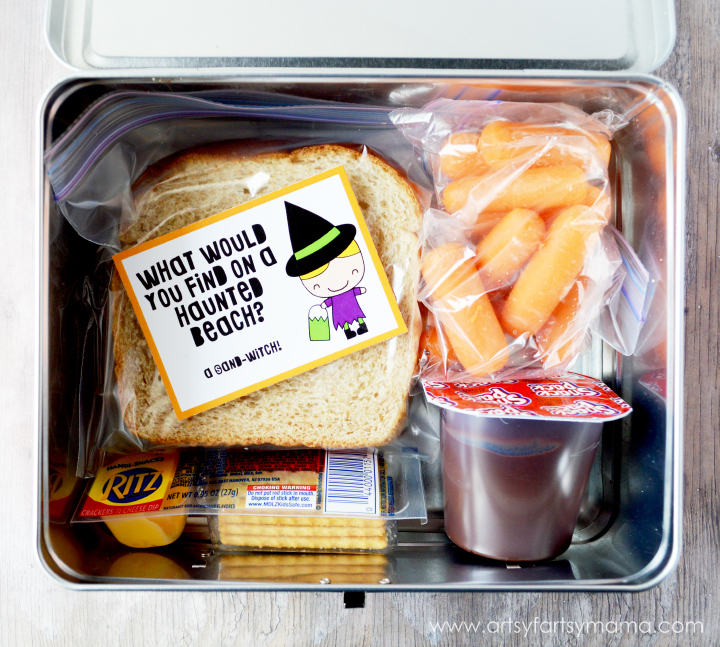 I wanted to plan a little Halloween fun for her during the month of October, so I've put together these cute Halloween lunch box jokes to throw in her lunch! The jokes will be fun for Halloween time, and she's excited to share them with her newfound friends. 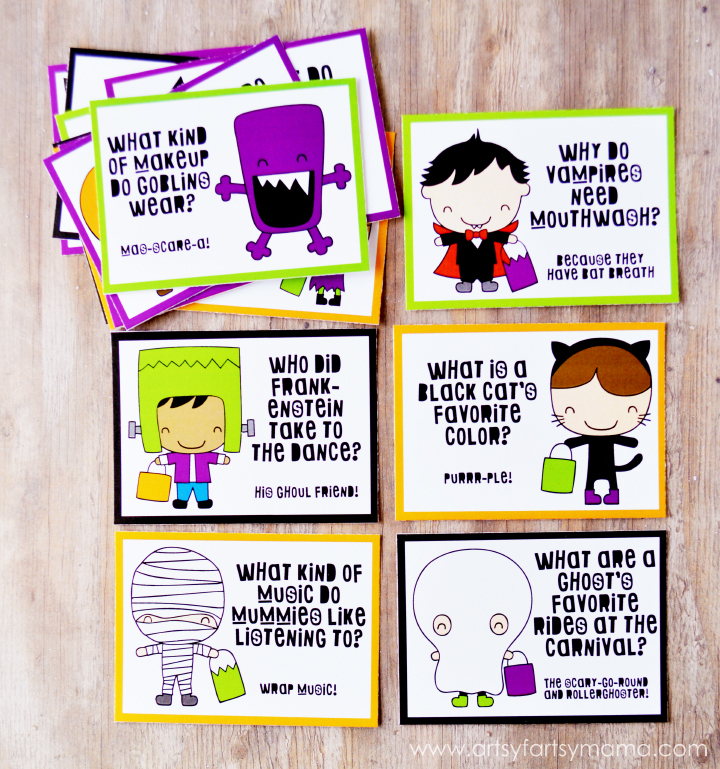 In the download I've got 16 different kid-friendly Halloween-themed jokes that can either be put into a lunch, or use them as a spooky Halloween favor at your Halloween parties this year! The kids will love repeating the jokes throughout October. I'd love to hear if you decide to use them!! 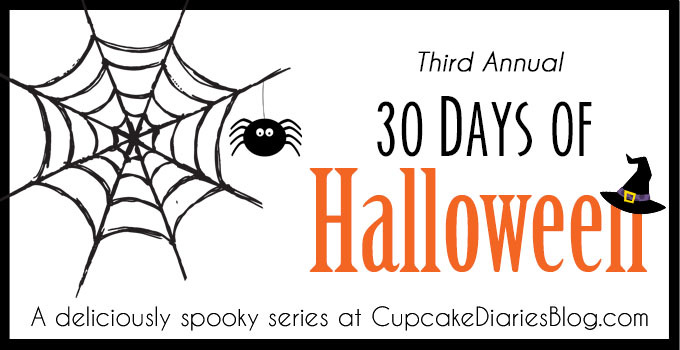 I’m so excited to be a part of Cupcake Diaries’ 30 Days of Halloween this month! Check out the rest of the fabulous Halloween posts by clicking on the links below! Those are so adorable! I am definitely using these! Oh my gosh, my girls are going to love these! I'm going to be the coolest mom at the school. THANKS! Such fun jokes! Thank you so much for sharing this idea. I'm going to check out some of those thirty days, too! Thank you!! These are so fun, and my kids are going to love them! Thanks for sharing!